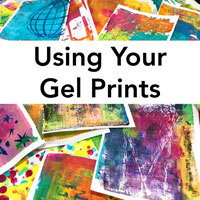 This page was inspired by a gel print. It was supposed to be all about the colors and bits of pattern peeking out in that print. But plans don’t always go as planned. Okay, mine rarely go as planned. 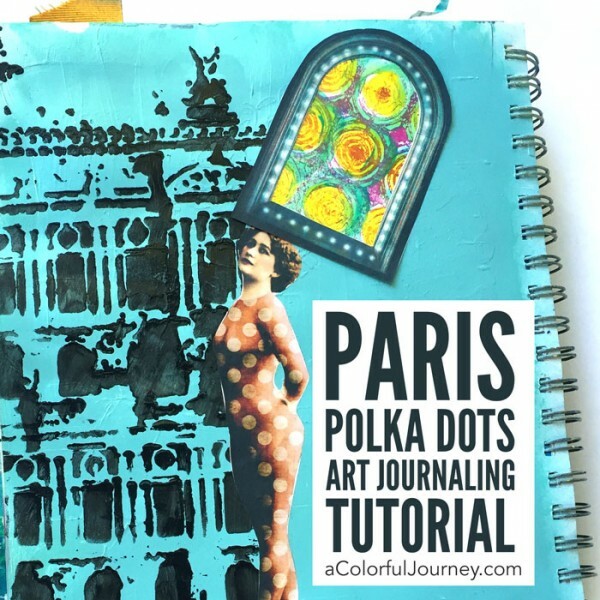 Turns out it was a polka dots and Paris kind of page that emerged from the play. 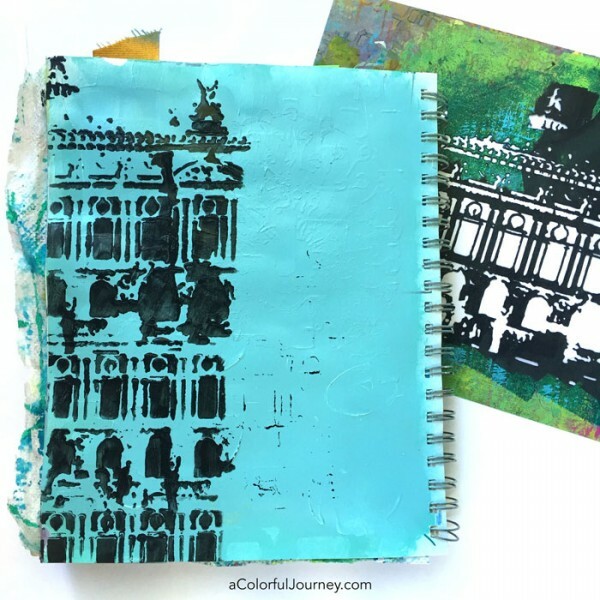 In the video, you’ll see how I made a custom black color to match the image I cut out and how I customized the stencil to my needs…after all stencils are a tool that can be used in many many ways! 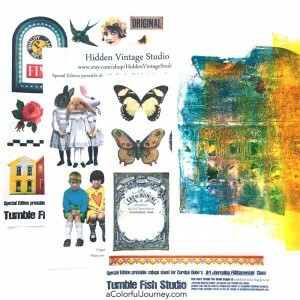 The printable pages of fun images here are from Tumble Fish Studio and Hidden Vintage Studio. 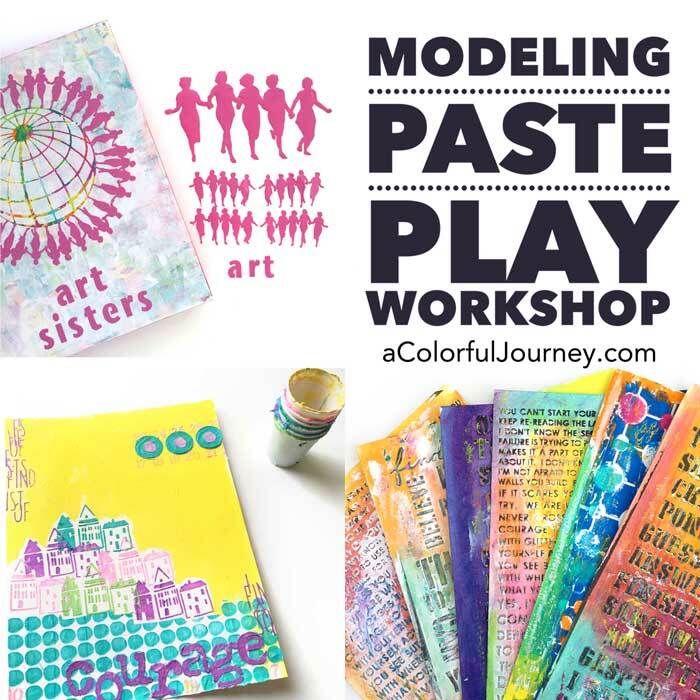 Check out all their wonderful creations in their shops but if you are looking for these specific pages they are included exclusively for students in the Art Journaling FUNdamentals workshop. 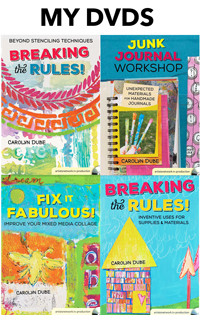 You jump on in and join the workshop anytime while registration is open. 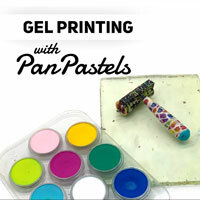 Stencils are tools and tools can be used in multiple ways. The Opera House stencil wasn’t as tall as I wanted so I simply made it taller. That gel print that started the play is in the page. 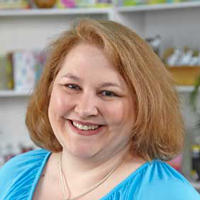 It’s the itty bitty sniblet of a scrap of paper below the word “original” that Ms. Polka Dot is standing on. The rainbow waited patiently for its turn and it knew I would use it somewhere on the page. 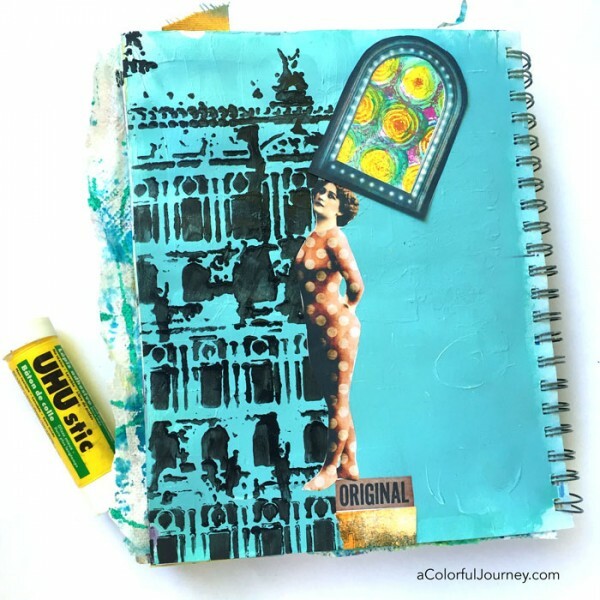 The inside of the marquee frame was just the spot for a pop of color thanks to a scrap leftover from previous play with the Doodle It Bigger stencil by Maria McGuire. The page doesn’t have much color…but that will be changing! Next week, I’ll be sharing how I added even more color to this page! Get signed up for my newsletter and you’ll be sure to see that post. 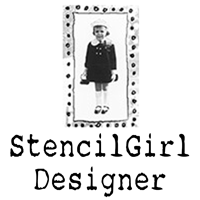 I love playing with stencils. So many things you can do with. I’m going to your next post to see wat you did with this page. I really like how this beautiful page turned out!! I’m just curious… do your glue stick stuck pieces tend to peel up after time?